Surface Children is a book of short stories by Dean Blake. Based on the popular blog Generation End, Surface Children contains humorous, shocking and sometimes heartbreaking tales written from the point of view of young adults dealing with issues such as vanity, lust, jealousy, heartbreak, ambition and loss. Interwoven throughout the book is also a narrative about Dean and his volatile relationship with Eva. Dean has once again demonstrated his mastery of the art of storytelling in this much-anticipated collection of short stories. From a satirical tale of a group of teenagers who crave nothing but perfection to a horrific account of a young man who claims to eat people, Surface Children introduces its readers to a generation consumed by vanity, self-indulgence, violence, and a twisted understanding of love and heartbreak. 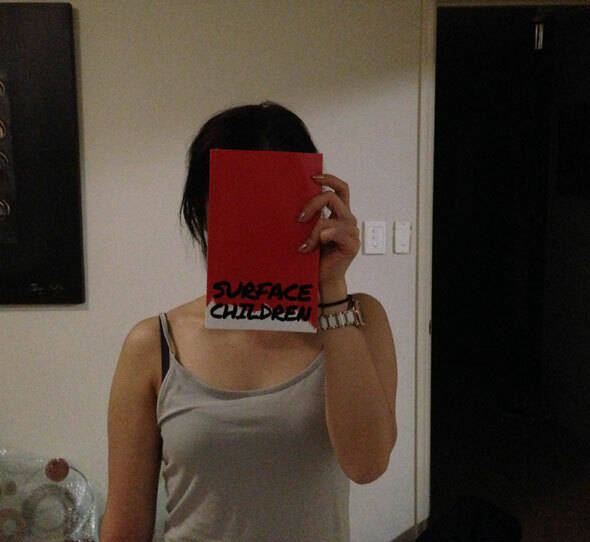 Surface Children is said to be the greatest piece of work Dean Blake has ever written. Own a copy from Book Depository (free shipping). Own a copy from Amazon. Own a copy from iBooks.